_Watch Terri Maurer of Channel 7's Garden Diva show as she visit's our garden. Learn how to use dried Stevia to make southern iced tea & lemonade. Watch Mrs. Laura as she shows Terri Maurer, the Garden Diva, how to use Stevia she grew in her garden as a sugar substitute in southern favorites, sweet tea & lemonade. Terri Maurer, Yadtel's Garden Diva, talks with Mrs. Laura about her business, Herbal Accents. Watch Terri Maurer, Yadtel's Garden Diva, as she talks with Mrs. Laura about her business, Herbal Accents. This is a great resource when wanting to learn more about culinary herbs and spices. It explains the history of the herb or spice, how it is cultivated, and how to use them. Here is a great link to learn more about stevia and it's health benefits. 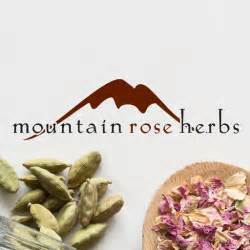 We recommend Mountain Rose Herbs dried herbs, herbal supplements, and oils due to their dedication to offering high quality products!